“The Godfathers had hoped to tour the USA in February for the first time in 20 years. And it is with sincere regret that the group have to announce that this tour has now been severely curtailed due to the ongoing credit crunch. In the financial Armageddon currently laying waste to banks and financial institutions there are plenty of innocent victims. CD and record shops, music retailers, venues and record companies are all struggling to survive the collective belt-tightening of a world living in fear for it's jobs and security. 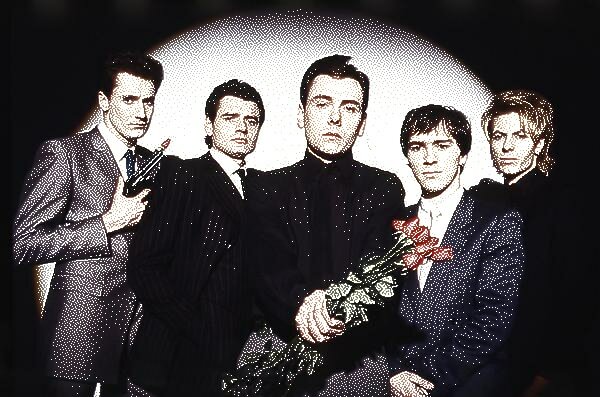 British post-punk rockers The Godfathers don’t perform music — they seethe it. Raw, angry bursts of aggressive melody with a pounding beat, slashing guitars and Cockney-tinged vocals that demand attention. “Punk meets mod at the bottom of the social barrel.” Sometimes you need that sort of thing to help you forget about things like the ongoing credit crunch. The Happy Medium Song of the Day comes from the band’s cheeky-titled 1986 debut Hit By Hit and it’s called “I Want Everything.” Is that too much to ask? Have a great weekend.